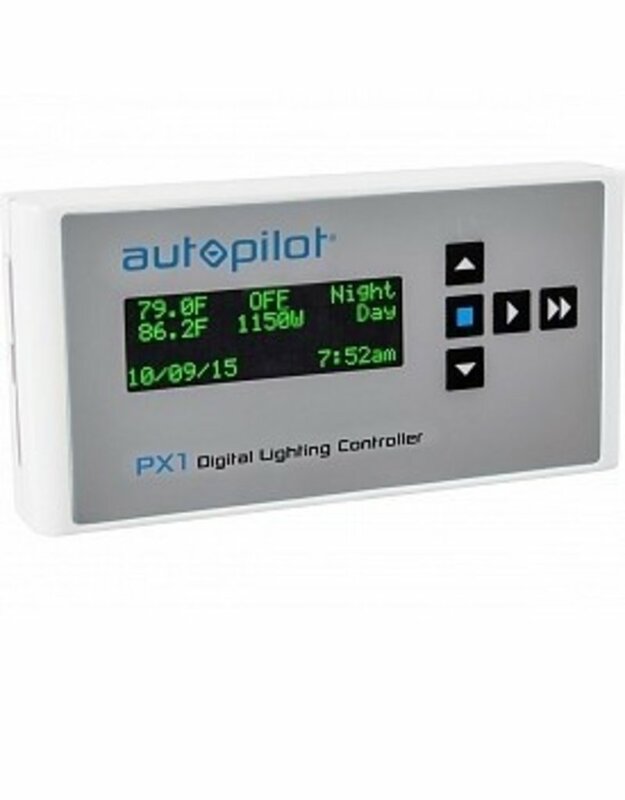 The Autopilot PX1 Digital Lighting Controller from Hydrofarm provides centralized, dual-zone digital control of your DE lighting, allowing you to switch, dim and boost multiple USB-compatible Hydrofarm ballasts at once—up to 256 in each of two independent zones for a total capacity of 512 ballasts. The trunk-line cable connections ensure perfect communication between the controller and all ballasts in the chain. 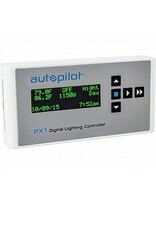 The PX1 Digital Lighting Controller is easy to set up, and is compact and lightweight. It is a true digital ballast interface that makes multiple-ballast control easy and affordable to achieve. It is simply more powerful, more reliable, and more capable than competing controllers. 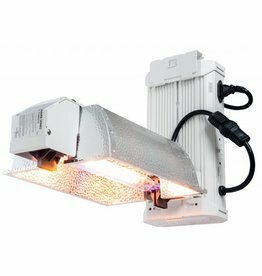 The PX1 is designed to work with any Phantom or Hydrofarm ballasts with USB connectivity, and are ideally paired with PARsource DE reflectors and Agrosun DE HPS lamps. Xtrasun ballasts are not compatible with PX1. RJ12/USB connection cables and splitter are included in the ballast box. To extend the temperature probe use a 3.5mm Male to Female audio cable, 50’ max extension cable length. Only use authorized RJ12 6 Conductor Telephone Cables when running your connections between ballasts and the PX1. Non-approved cables could cause errors and disrupt the signals to your lights.